Advanced speed control methods are available for the regulation of wind generators. Working together with SET Sustainable Energy Technologies GmbH, Sulzer made use of one of these new concepts on pumps for the first time and implemented it with great success on a feedwater pump in a refinery. Unregulated pumps consume unnecessary drive energy when demand fluctuates. By controlling the pump speed, the flow rate can be adapted to the demand, thereby saving a lot of energy. 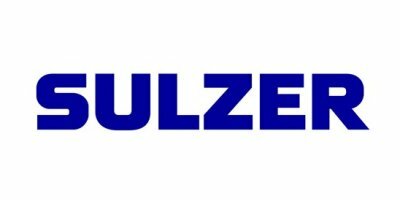 This was also PCK Schwedt Refinery’s goal when it asked Sulzer to upgrade the feedwater pump in the company-owned power plant. Residue from production is burned in the power plant, and the heat is used to evaporate water and generate electricity. The feedwater pump transports the water into the boiler; the amount varies according to the demand for electricity. Up to now, the speed of the pumps has usually been controlled with frequency converters, but converters for high performance are very expensive. When used as an alternative, hydraulic gearboxes also have many disadvantages, such as low efficiency outside the rated speed, a large space requirement, and a complicated cooling system. SET has been active in the field of wind power for more than 20 years, and it has developed wind generator gearboxes, which maintain the generated power at 50 Hz despite changing wind loads. Together with Sulzer, SET has now made use of this innovative gearbox concept on pumps. The basic idea is to combine different types of gearboxes with a converter. The system consists of a constant main drive, a planetary gearbox, and a small converter (max. 20% of the total aggregate power). The system performance—which is similar to that of a hybrid drive—is made up of the drive power of the main drive (3.2 MW/6 KV) and the converter motor (400 KW/690 V) together. These are combined intelligently depending on the power requirement. This means the main drive takes on the basic load, and the control range is run with the smaller, frequency-controlled motor. The advantage here is that the overall efficiency of the drive train is more than 95% for a broad speed range and never less than 91%. This is not possible with any of the abovementioned speed control options, and it represents an entirely new concept. The system was successfully installed in the refinery and is running to the full satisfaction of the customer. Sulzer is convinced that this revolutionary drive method can be used on many rotating machines, and will become established in the industry thanks to its high flexibility and the energy savings achieved. No comments were found for Wind Generators as Role Models. Be the first to comment!